Two Upcoming Events for April 2019. Parking and Free Admission! 11:00 a.m. to 3:00 p.m. Over 70 vendors! Check out their web site for more information. We'd love to see you and tell you about our new book due out later this month - Lightning Strike. 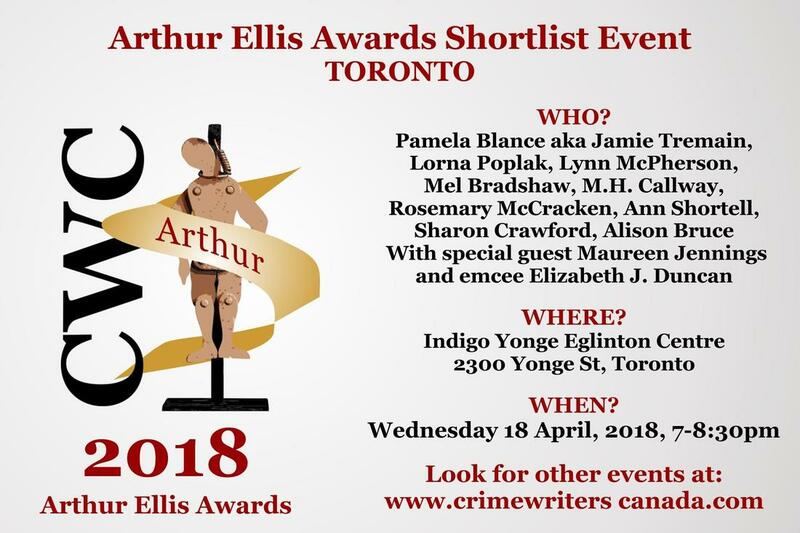 Pam will be part of a Crime Writers of Canada library panel on Saturday April 27 2019 from 2:30 to 4:00. See below for more information. |On April 7 2018 we were at Indigo Spirit in Oakville for a book signing of The Silk Shroud. We had a standing room only crowd and sold all books on hand!